IELTS is the world's most popular English testing system. IELTS tests are held in over 9000 centers with tests up to four times a month. IELTS respects international diversity and is fair to anyone who sits the test, regardless of nationality. You can choose from two types of IELTS test: Academic or General Training, depending on whether you want to study, work or migrate. 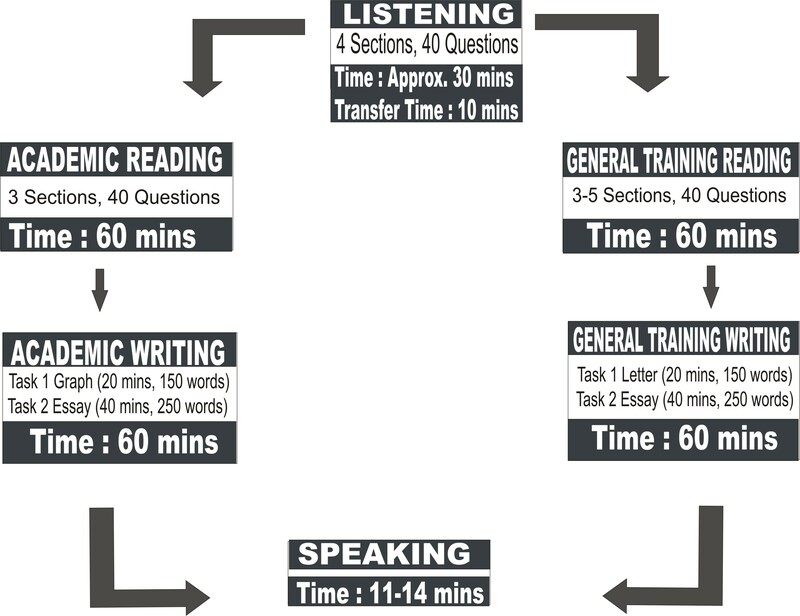 Both tests are made up of four parts - Listening, Reading, Writing and Speaking. IELTS results are graded on the unique IELTS 9-band scale. IELTS is designed to assess English language skill. Results are reported as band scores on a scale from 1 (the lowest) to 9 (the highest). Two-way discussion. Part 3 lasts for 4 to 5 minutes. In this section, you will be asked to have a short discussion linked to the subject you spoke about in part. Examiner asks questions that are linked to the topic in part 2 (follow up questions) and questions of more abstract nature. Q. What do you understand by a challenge? Q. Who do you go for help when you are in some kind of dilemma? Q. What practical skills do you have? Q. Can practical skills be learned? Q. Which is the national animal of your country? Q. Where can this animal be found? Q. Have you seen the national animal of your country? Q. What other wild animals are commonly found in your country? Q. What hardships does one have to face to attain success? Q. How should one prepare one's self for success? Q. What problems does one have to face when one is successful? Q. What expectations do your parents have from you? Q. How can the monuments be saved? Q. Are people respectful towards the historical monuments in your country? Q. Should there be harsh penalty for the people who harm the historical monuments? Q. What other famous monuments do you have in your country? Q. How do you keep yourself happy? Q. What things are helpful in releasing our stress? Q. What is the importance of a smile? Q. Have you received any bad news recently? Listen carefully to the Examiner's questions. Try to be fluent and only correct yourself when it's easy to do so. Don't focus on your mistakes; move on. Try to go into detail when you explain your opinion. Give reasons for what you say. Don't worry if you have to make up an answer. You are being marked on your ability to speak English, not the truth of the content! Don't speak quickly or slowly just speak clearly. Concentrate on the message you are trying to give. Don't worry about saying too much! The Examiner will stop you if he/she wants to. When you say something, try to qualify it and expand it to support your opinion or reason. Don't overuse words such as 'actually', 'moreover', 'what is more' and so on. This will come across as padding and won't demonstrate your use of English. speaking English pace themselves during speech. You will find it useful to listen to spoken English, such as on radio programmes, to see how this is achieved.